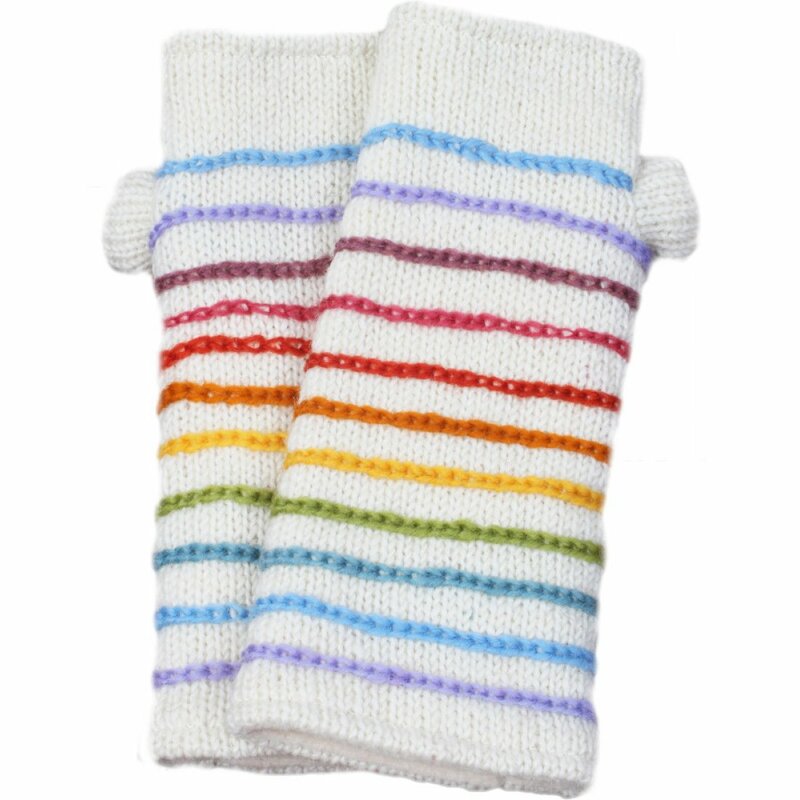 Great for keeping you as warm as possible this winter season, these wristwarmers are both comfy and stylish. Each one is made from 100% wool with the addition of a 100% polyester lining to keep your wrists, palms and fingers nice and warm. 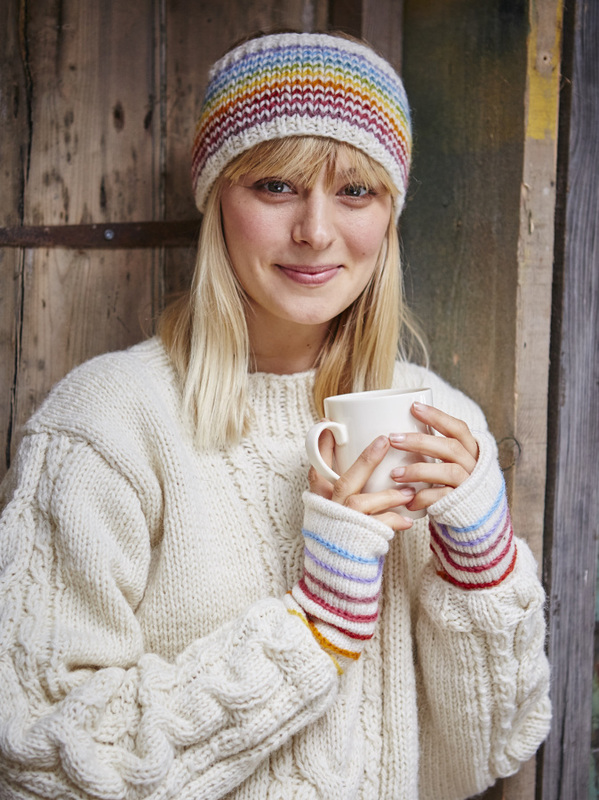 The wool outer has a gorgeous cream colour that’s accented by a series of brightly coloured stripes. 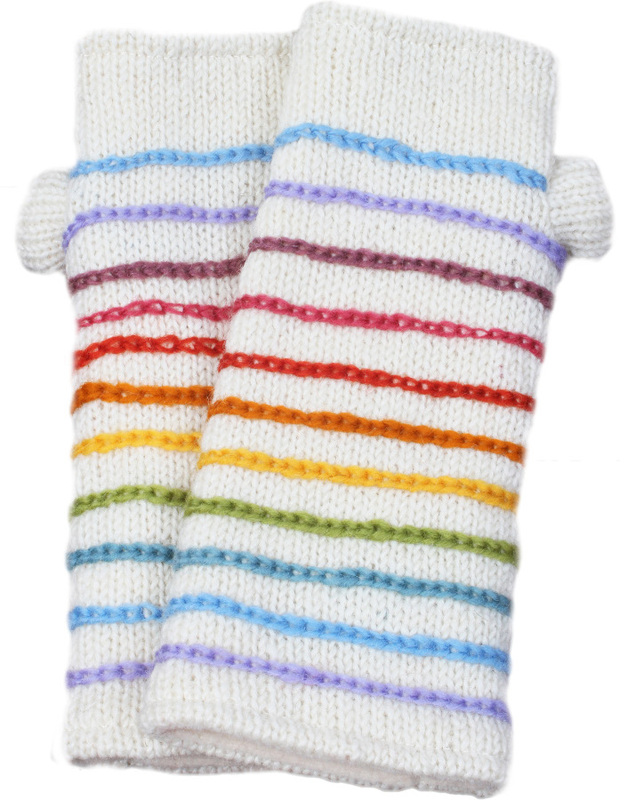 Each pair of wristwarmers is made under fair trade working conditions and helps to support a good cause. Part of these wristwarmers sales are donated to Net4Kids, a charity dedicated to creating opportunities and education to underprivileged children. The Womens Greenwich Village Wristwarmers product ethics are indicated below. To learn more about these product ethics and to see related products, follow the links below. There are currently no questions to display about Womens Greenwich Village Wristwarmers.